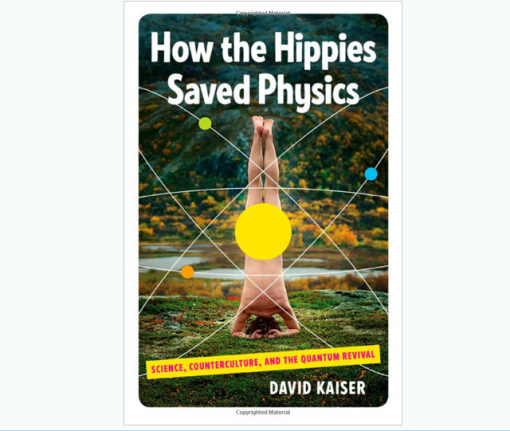 How the Hippies Saved Physics – It’s a Real Book and I Want One! Looking for a book to read? I am about to finish all of the books Orson Scott Card wrote about Ender Wiggin, and I am at a loss as to what to read next. Given that I am about to go on a week-long workation at the beach, I need a couple of books to take along for the inevitable lounging in the sun. There are ebooks, yes, but I have long since found out that electronics and the scorching sun are not friends. Anyhow, in my quest to look for something new to read, I came across a relatively new book titled “How the Hippies Saved Physics: Science, Counterculture, and the Quantum Revival. I have to admit that while I did rather well in physics in school, the applied aspect seems to elude me more these days. Then again, that’s what books are for, right? Given the title alone, I am willing to bet that this book will be an entertaining read – at the very least. Written by David Kaiser, the book is all about physicists in the 1970s, when the world was experiencing one of the most unique periods in history. Apparently, during the time of free love and anti-war protests, the world of physics was in a rut. In spite of the prevailing idea of conformity (I guess in the physics world), a group of physicists in Berkeley, California (where else?) decided to go against the flow. They named their group “Fundamental Fysiks Group” and approached physics in a whole new way. Applying ideas from Eastern mysticism and psychic mind-reading, these guys have influenced modern physics. Believe it or not, some of them even took LSD to tap into their wells of creativity even more. Funnily enough, thinking back, I can easily see my college physics professor being part of this group. The hardcover version is available on Amazon for $16.22. I doubt I’ll be able to get my hands on this before the weekend, but if any of you do read it, share your thoughts?